Adam Parness joins our Rotary Family! 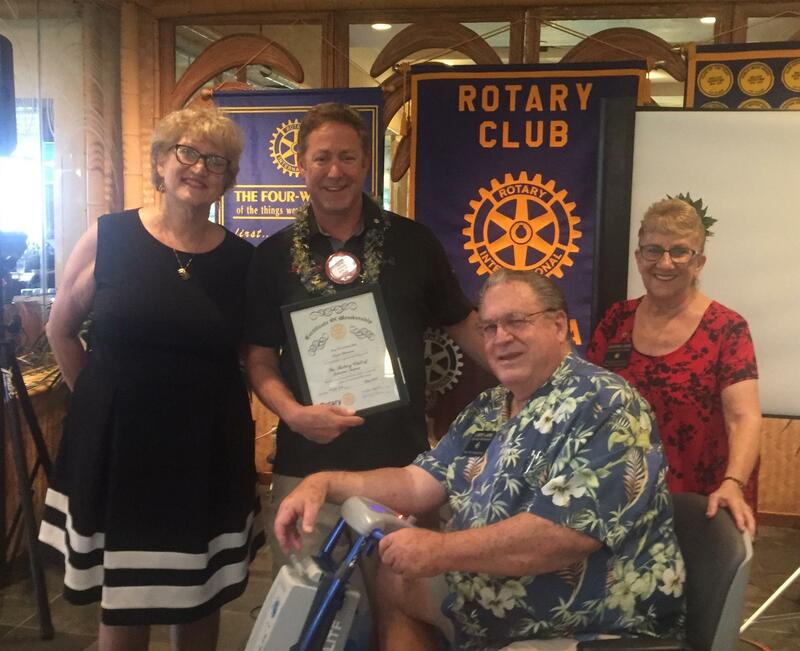 At a recent meeting of the Rotary Club of Lahaina Sunset Adam Parness was inducted as the 11thnew member since July 2017. Adam was inducted into the club by Assistant District Governor Marti Wukelic and he was sponsored by Larry Laird. Adam Parness is the owner and operator of ShipOnSIte Maui. Originally from a small town in upstate New York, Adam moved to Myrtle Beach, South Carolina to pursue a career in law enforcement but quickly his entrepreneurial skills took over. Owning several service oriented businesses helped Adam succeed in all areas of customer service to include a large family-owned printing company, the largest document destruction company in northeastern South Carolina, as well as in commercial real estate and development. Adam now looks forward to specializing in shipping solutions for both business and traveler, as he opens this newest business in The Fairway Shops in Ka`anapali. As Past President of Surfside Area Rotary Club in Myrtle Beach South Carolina, Adam is fully aware of the magnitude of the Rotary's motto of "Service Above Self".